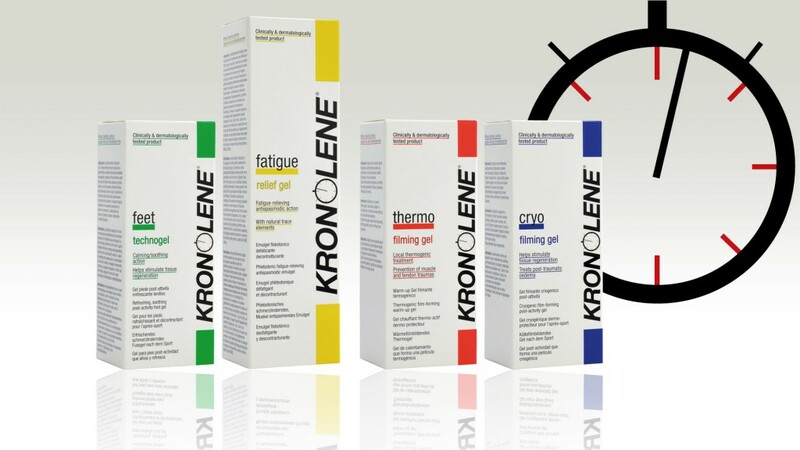 The KRONOLENE product line is specifically designed to offer, immediately and safely, maximum protection during exercise, to athletes and anyone who wants to have a normal physical activity. KRONOLENE products, based on the hyaluronic acid and a natural composition in gel form, in combination with the company’s scientific know-how, provide immediate action and contribute to the speedier relief from injuries, muscle and joint pains, etc. caused by exercise or the daily activity. • Replenishes natural trace elements which are lost during physical exercise, like: magnesium, iron, zinc, copper, calcium. Also effective in complimentary treatment of conditions like acute or chronic rhumatalgia and painfull conditions with muscle spasms. • Ideal for bruises, sprains, pulled muscles, muscle aches etc.